World of GPS - "A New Adventure for ALL!! ™"
WELCOME TO OUR JUNGLE GHOST EXPLORIST X'10 STORE. Purchase your products from people who will support you. Feel secure in the fact that you will be supported by USA expert engineers who are also Triton Users. All of Our eXplorists Are Fully Loaded!! Complete with Summit and City Auto-Routing Maps for Free. PRELOADED WITH SUMMIT AND CITY MAPS OR ALL NORTH AMERICA, USA ATV TRAIL MAPS AND USA/CANADA SNOWMOBILE TRAIL MAPS AND FISHING HOT SPOTS MAPS FOR OVER 4000 LAKES IN THE CONTINENTAL USA. $215.00 + S&H PRELOADED WITH SUMMIT AND CITY MAPS OR ALL NORTH AMERICA, USA ATV TRAIL MAPS AND USA/CANADA SNOWMOBILE TRAIL MAPS AND FISHING HOT SPOTS MAPS FOR OVER 4000 LAKES IN THE CONTINENTAL USA. REPAIR BROKEN MAGELLAN EXPLORIST 510 610 710 REMOVE VIRUS VERSION 7.27 7.28 7.29 ..
We Offer MAGELLAN SUMMIT AND CITY NAVIGATION MAPS for NORTH AMERICA (USA AND CANADA), EUROPE, AUSTRALIA AND NEW ZEALAND for Your 510, 610 and 710 Explorists. TAKE THIS OPPORTUNITY TO ADD SOME X10 SUMMIT AND CITY COUNTRY MAPS .. 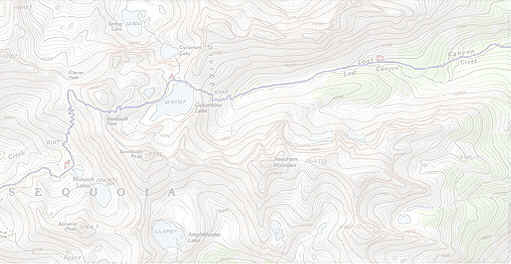 Choose from Summit and City Car Navigation Auto-Routing Maps for Your Country. OUR COMPLETE REPLACEMENT SCREEN HAS ALL YOU REQUIRE TO REPLACE YOUR BROKEN LCD DISPLAY SCREEN. We can handle ALL your repairs. Our Founder Mr. Gelb, thought that you might wish to share his heritage with you in the form of a Special Recipe Book. The book was created from his Great Grandmothers Recipes. His Great Grandmother was a famous Master Chef from the late 1800's and she cooked for many influencial people. Her restaurant was locate in the New Theatre District. She was deeply attached to Lillian Russell who commissioned an oil painting as a gift to her on their common birthdate. The Recipe book is free for the download. It contains recipes that were created for famous dignitaries like Governor Theodore "Teddy" Roosevelt (later the 26th President), Thomas Edison who gave her a roll of his new invention "waxed paper" to try in the kitchen, Tony Pastor, J. B. "Diamond Jim" Brady, Victor Herbert, Sam Schubert, Adophus "Anheiser-Budweiser" Busch and the like. 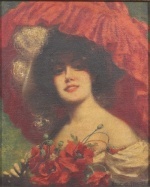 Born December 4, 1860 in Nice, France, Helen Gelb (nee Hélène Carrière). She was one of the youngest students (age 15) to study privately under Master Chef Georges Auguste Escoffier. After completing her courses, she relocated to New York City and married a prominent second-generation restaurateur and created an entire new cuisine based upon German, Hungarian and Jewish cultural heritages adding to each dish her French culinary expertise. NOTE: ( ) Sorry but we have to post this warning to all.. The Gelb Organization, L.L.C. (GO) and Jungle Ghost Enterprises (JGE) or Magellan, Inc. make no representation about the suitability of the information or material provided. In no event shall GO or JGE be liable for any direct, consequential, incidental, special, punitive or other damages whatsoever (including without limitation, damages for loss of business profits, business interruption, or loss of business information). Microsoft, Windows, are either trademarks or registered trademarks of Microsoft Corporation. Triton and Explorist is a registered trademarks of Magellan Navigation, Inc.
All rights reserved. Magellan, Maestro, Magellan RoadMate, CrossoverGPS, and Triton are trademarks of MiTAC Digital Corp. Copyright 2000 - 2014, Gelb Organization, LLC. All Rights Reserved. Copyright under Berne Copyright Convention, Universal Copyright Convention, and Pan-American Copyright Convention.